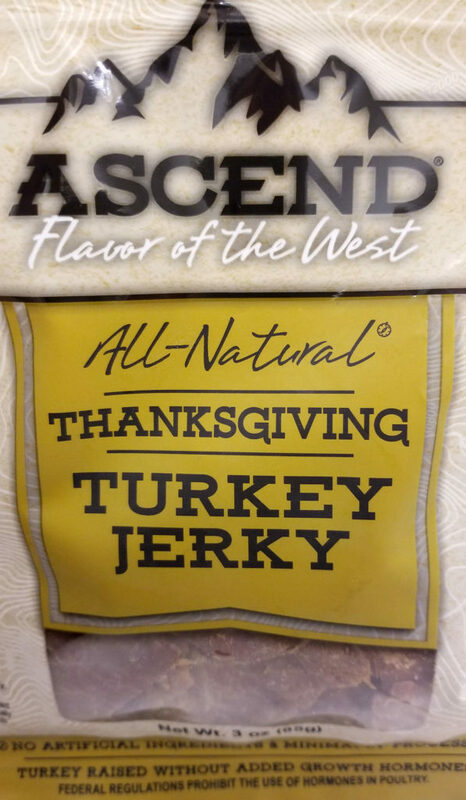 Ascend makes a really tasty Thanksgiving Turkey flavored jerky. 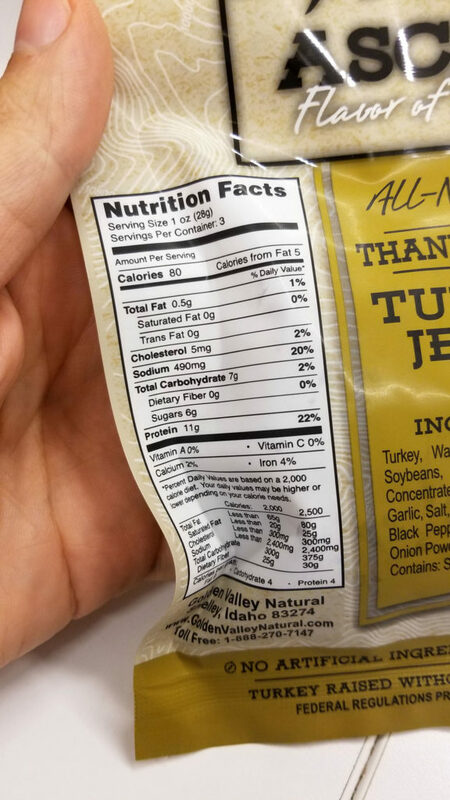 This bag contained three servings at 80 calories a pop. 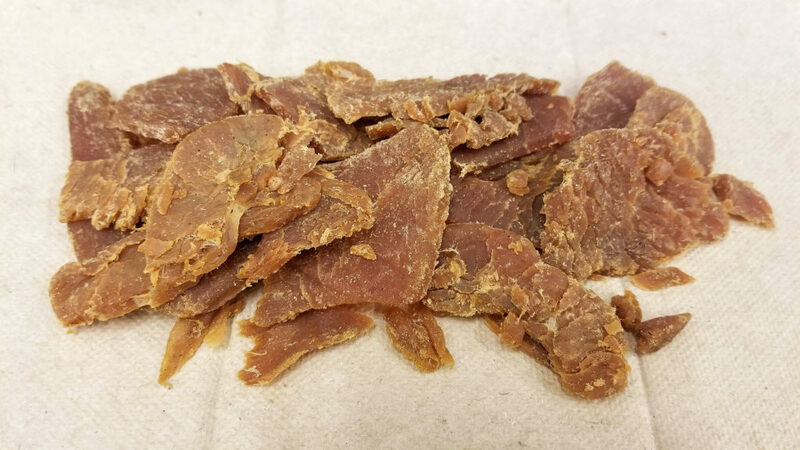 I ate the whole thing during lunch with a few other low calories snacks and veggies, and was completely satisfied for the whole day, through to dinner. Really tender, and great “autumnal” flavor that incorporates all the herbs and spices you associate with a Thanksgiving feast. Highly recommended.